The industry perspective on this growing field — and what it means for veterinarians and pet owners. Telehealth is certainly a hot topic these days, but what exactly is it and what companies are actively working in this space? We spoke with Deb Leon, founder and CEO of whiskerDocs, the largest veterinary telehealth provider in today’s market, to discover the industry perspective on this growing field and what it may mean for veterinarians and pet owners in the future. What is telehealth, and does it differ from telemedicine? Leon: Although telehealth and telemedicine are often used synonymously, most of us find it useful to distinguish the two, with telehealth being a bit broader. Telehealth is commonly defined as any health or wellness exchange that takes place through an electronic or telephonic medium. In human medicine, services like wellness coaching, health information websites and nurse triage fall under telehealth because they serve no diagnostic function. The first modern-day applications of telehealth were pushed forward by NASA in the 1960s to monitor the cardiac health of astronauts in space. In 1967, in-house medical stations, linked to Massachusetts General Hospital, were installed at Boston's Logan International Airport. It really wasn’t until technological developments created a fertile environment for improving the delivery of care that telehealth began to expand. The 1990s and beyond saw a huge uptick in companies providing remote services. Included in the broad category of telehealth are telemonitoring devices, health and wellness websites (e.g., WebMD), telephonic chronic condition management, online and telephonic health coaching and more. Is the use of telemedicine growing in human health care? Many services are available today in human health. Teladoc is the most successful and popular, with more than 20 million members as of March 2017. Dozens of companies offer online physician consults, with more emerging each year. Telco was started in 2002 by a NASA physician and went public in 2015. It operates in 48 states, 24 hours a day, 365 days a year. Medicaid programs in 48 states have some type of coverage for telemedicine. The trends in general are to ensure parity coverage in states with very little or no restrictions. This means that many are moving toward equivalent reimbursement for in-person and virtual physician visits. The Affordable Care Act helped to encourage telehealth as a means to provide more affordable access to physicians; however, it is still a state-by-state process. The fact that there is no uniform, legal approach to telehealth has been one of the biggest barriers on the human side, and that same issue will likely play out in animal health. Why do you think telehealth is increasing in popularity? Considering that Generation Z (born between 1996 and 2005) is larger and even more digitally oriented than millennials, this trend isn’t going away. In fact, Generation Z users don’t even consider computers and smartphones “technology” and flock to Instagram and Snapchat as well as video games for a more instant experience. These are the pet owners of today and tomorrow, and we need to be ready for them. My previous company was a 24/7 nurse line, so we understood the technology and service levels needed to meet consumer needs while providing clinical and operational quality. As pet owners, my family and I could not believe that a similar service was not available to us for our pets. And, just like in human health, I felt we could make a strong impact by empowering pet owners to make good health decisions on behalf of their pets. Those good decisions are supported by knowledge and the accessibility of expert advice. What type of pets do your clients own? Our mix is impacted by the fact that several of our clients are pet insurance companies. We handle interactions for both dogs and cats (exotics in the future), with the majority being dogs. I believe this is because dogs are outside more often and thus sustain more injuries. Also, ingestion of toxins or foreign objects is a major contributor, and dogs are more prone to that. We are focusing a great deal of our efforts on awareness for cat owners, as they are often underserved due to stress and some subtleties in clinical signs. Is there a profile of the “average” whiskerDocs client? We are noticing a slightly greater acceptance of telehealth in general in younger populations — which makes sense in light of the Salesforce Research data. That can be overridden by geography and accessibility to emergency care in more rural communities. I think the jury is still out on this one; however, if it follows along the same path as human telehealth, the adoption rate of services like whiskerDocs will move very quickly among all age groups. What are the most and least common reasons your clients call? The topics we are asked about most often are (in order) clinical signs, medications, injuries and potential toxin/poison exposure. We receive the fewest calls about puppy care, behavior, general health and health and wellness. So, it seems that pet owners have a need for education regarding potential emergency situations. Would you agree? I think it’s more a factor of access. General health and behavior questions can be answered at the next visit or, frankly, with online and other resources that are available to pet owners. Most people trust their primary veterinarian and aren’t looking to us to give another opinion. What they are most concerned with are decisions they need to make when something’s happening that isn’t normal or there is an injury. The pet owner’s level of panic is often part of the problem. Do they need to take off work? Does the situation warrant an expensive trip to an emergency clinic, or can it wait until their primary veterinarian’s office is open? What we can do, though, once we have their attention, is encourage and educate them about general health and wellness and build their belief in the importance of regular veterinary visits. Do calls often involve sending visual or even auditory files electronically? Yes, pet owners can send photos or videos via email and text. Our team can be reached via phone, live chat, and email. The most important feature of our service is instant access. Over 70 percent of our calls and chats are perceived by the pet owner as urgent. That’s why our average speed to answer stays under 45 seconds. Do you see different questions/problems being addressed in the future? Financial resources continue to be an issue for pet owners, so technology-driven solutions that are lower in cost will continue to be important. However, just like the journey in human health care, the solutions for access and affordability must include trust and safety. I do think we will see more pet owners looking for second opinions and alternatives to costly procedures. What kind of interventions do the whiskerDocs veterinarians and veterinary technicians perform? Because of current veterinary practice acts, our team cannot diagnose or prescribe. However, we can educate and inform, present options and help with resource issues. Our team of veterinarians and technicians is essentially acting in the same manner as 24/7 nurse lines do. We help establish trust in the veterinary profession by guiding pet owners toward appropriate intervention levels. It’s not a clinical assessment as much as resource management. In more than 70 percent of our interactions, the pet owner feels that his or her only option is an emergency clinic (typically because their regular veterinary hospital is closed) resulting in a lower cost action. Conversely, about about half the people who don’t think they need to see a veterinarian are recommended to do so. Do businesses offer telemedicine or telehealth services to their employees? Yes. Offering services like nurse triage lines is now standard practice. Every major health plan [insurance company] offers 24/7 nurse triage. Most large employers and insurers now offer services like Teladoc to their employees/members. whiskerDocs has several business clients who add our 24/7 pet help line as a benefit or component of their service offering. Do you offer subscription services for veterinary hospitals? We have launched 24/7 decision support for a major veterinary aggregator and will soon be able to schedule appointments right into their system when indicated. The systems that we employ at whiskerDocs are built for enterprise-level groups, so we see the best fit for aggregators with 30 or more clinics.  Long term, we feel there is a good chance for integration into some of the practice software solutions that have broad usage. And, to your point, we’ve already seen incredible value in studying our interactions — over 12,000 of them to date — to find information on pet owner knowledge and decision making. We continue to learn more and more about why pet owners interact with us (and also with their veterinarian), including barriers and gaps in care and understanding. 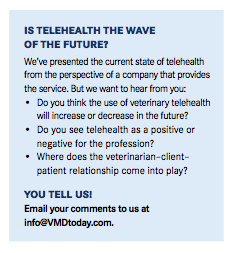 Is there a certain type of veterinary practice that may benefit more than another from a telehealth service? Access to care is a huge issue. The birth of telemedicine was really about providing access to rural and underserved communities. Another way to think about it is to look at gaps in care. What factors are creating these gaps? Some of the biggest contributors are finances, geography (access to nearby clinics), cultural norms, lack of education about clinical signs, and lack of time. I think practices that offer telehealth solutions, thereby broadening their reach, will see some good results. Can you sum up your view of telemedicine/telehealth? I think we should view telemedicine/telehealth as one way to reduce gaps in care. To be truly effective, it needs to be a collaboration between veterinarians, institutions and industry. Ultimately, telehealth can become yet another component in the continuum of care for our pets, providing real-time information to providers and the ability to coordinate care efficiently. Done right, this addition to the system of care creates higher levels of pet owner awareness and personal responsibility, which will have a profoundly positive impact on the health and well-being of their pets.